We invite you to stay in our rooms and make yourself at home in this historic Rome building. Our Bed and Breakfast offers charming bedrooms, with high ceilings and plaster moldings restored with beautiful rosettes. Large windows gives natural light throughout the day: infact, we are on fourth floor in elevator building and our rooms are very bright sunny, very quiet with soundproof windows. The rooms are furnished with comfortable double beds, large television set, writing desk, large closet and en suite bathroom. The private hall bath includes a very large new full shower. Every room is fully renovated, with allergy friendly features such an anti-allergy pillows and mattresses. The hall door secludes the B&B from remaining part of the house to feel like your very own suite with much additional private space. We take pride in the beauty and comfort of our suites and of our home. We respect your privacy with freedom to come and go. The proprietors are always ready to share their knowledge of Rome life and offer their guests an unforgettable experience of italian accommodation. If you want tips on public transportation, driving, dining, shopping or special attractions, we are happy to lend an insider’s view. It’s the personal touch that can turn your stay into a memorable experience. 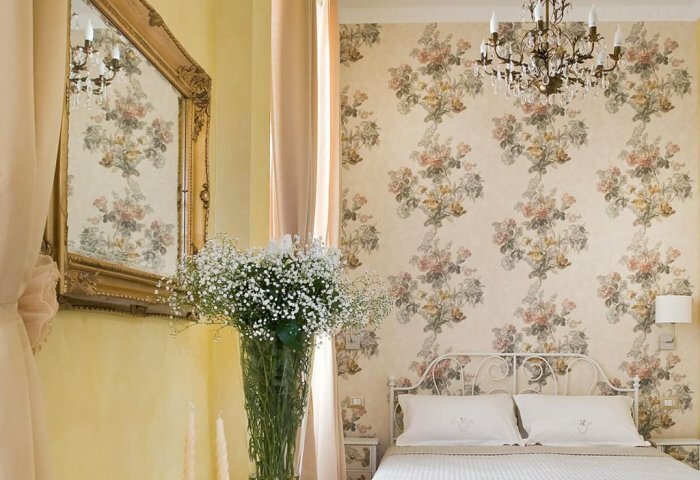 Cameo B&B offers old world elegance and charm with modern amenities, perfect for your stay in the heart of Eternal City.